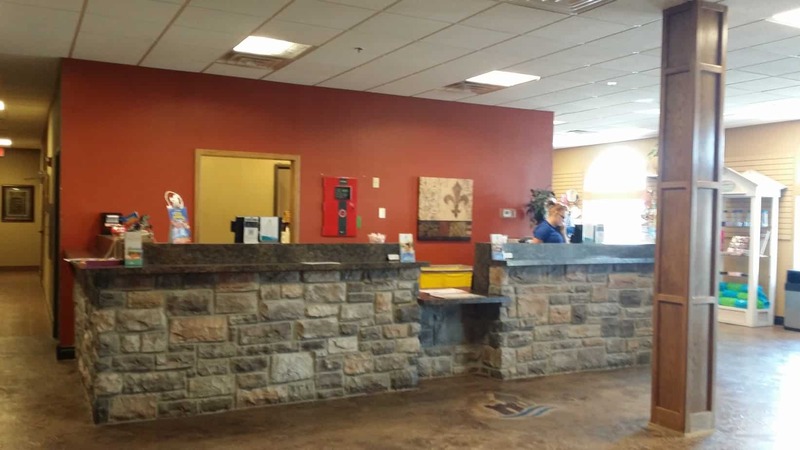 I was given a complimentary stay in the Castle Rock Resort & WaterPark in exchange for an honest review. Well, lookie here! 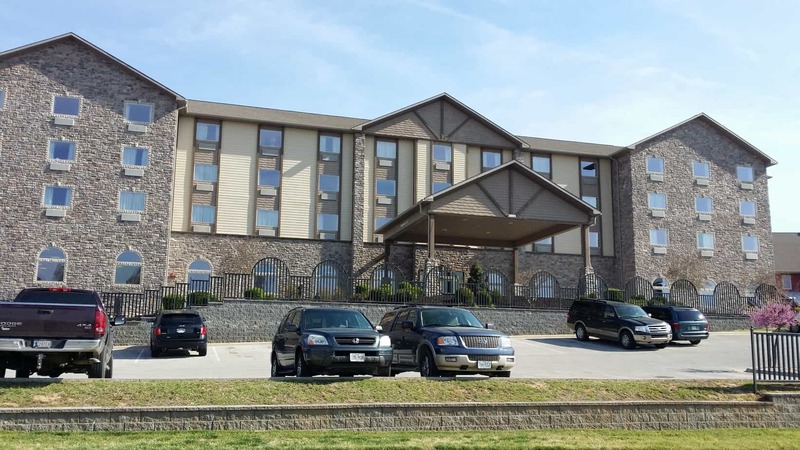 The houseful was able to travel BACK to Branson, MO to visit Castle Rock Resort & Waterpark for a weekend of water fun during Spring Break for the cellist. This time, unfortunately, we weren’t taking Mr. Houseful along with us since he had to work and couldn’t get out of it. Which meant that I drove. Good thing Mr. Houseful and I stayed in the resort the week before, so I knew all of the protocol before checking in this time. If you know us, you know that we are a road trip family. So knowing that Branson, MO was eight and a half hours away didn’t make me bat an eye. I’m not kidding. Plus, the fact that we had just driven back and forth less than two weeks beforehand helped out quite a bit. 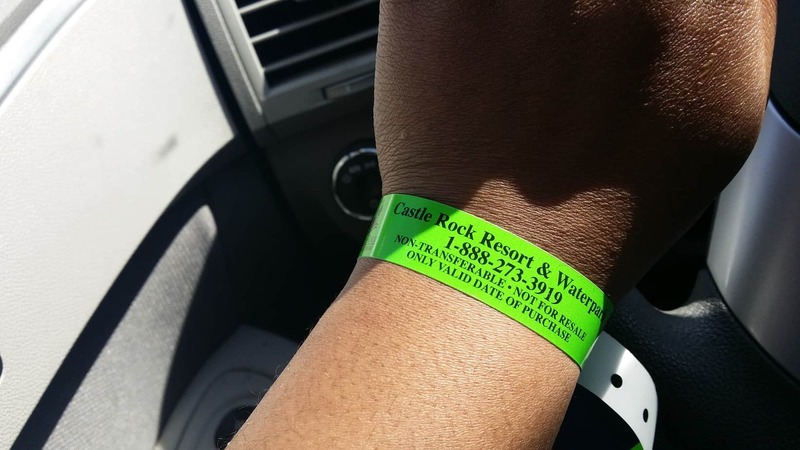 When we arrived, we were checked in and given our waterpark wristbands, which you will get upon check in if you’ve purchased that option. 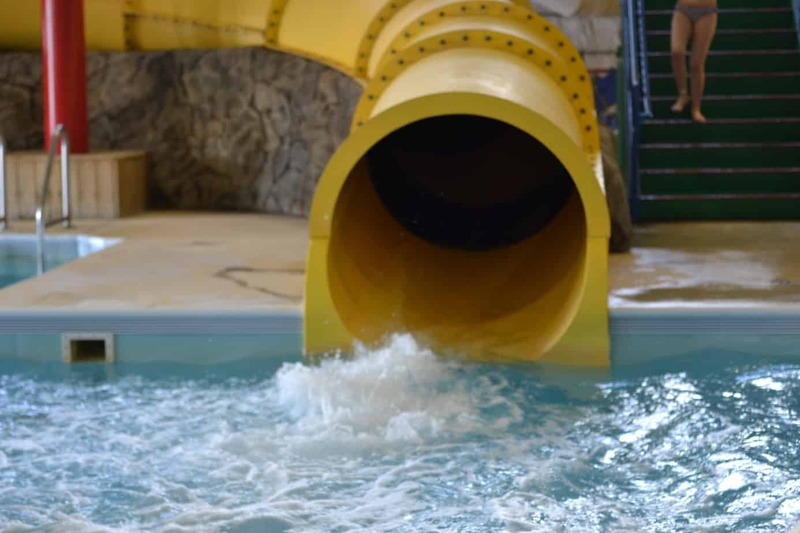 Waterpark access is included with all bookings, but you DO have the option of skipping the waterpark and paying less – although I’m not sure why you would do that in the first place. I’m guessing if you stayed in the atrium buildings that they have (two buildings across the parking lot from the main hotel) that would be reasonable, but kids see everything. By the way, the two atrium buildings do look like they were purchased from another hotel, and converted to be under the Castle Rock umbrella. I got a look into the rooms when I met up with a friend who booked because of my original post and they were a nice size! Our room was fantastic as it included a kiddie cove with a bunk bed, and two double beds. The rooms in the main hotel are outfitted to fit up to six people, and they come standard with a mini fridge, coffee pot, iron, ironing board, and hair dryer. There was no microwave oven though. This video shows our standard double double room in its entirety, and this was the EXACT setup of our room. The website does state that the resort is open year round, which is technically true, but the waterpark is not. We arrived on a Thursday and weren’t able to go to the waterpark until Friday afternoon at 1 pm. We would have also been able to enjoy a full day there on Saturday, but we had to get back on the road to Chicago to be back in time for Easter service. 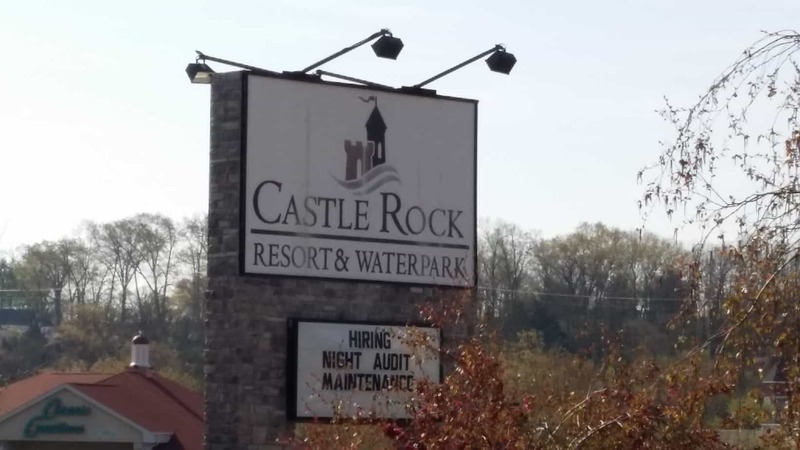 I urge you to make sure that if you are going down, or up, or across to Branson to stay at Castle Rock, to make sure that your Spring Break coincides with theirs, as that was when the waterpark was open all week long. After that, it doesn’t open week round until the third full week of May. Good thing is, there was plenty to do in Branson, and not far away from the hotel. 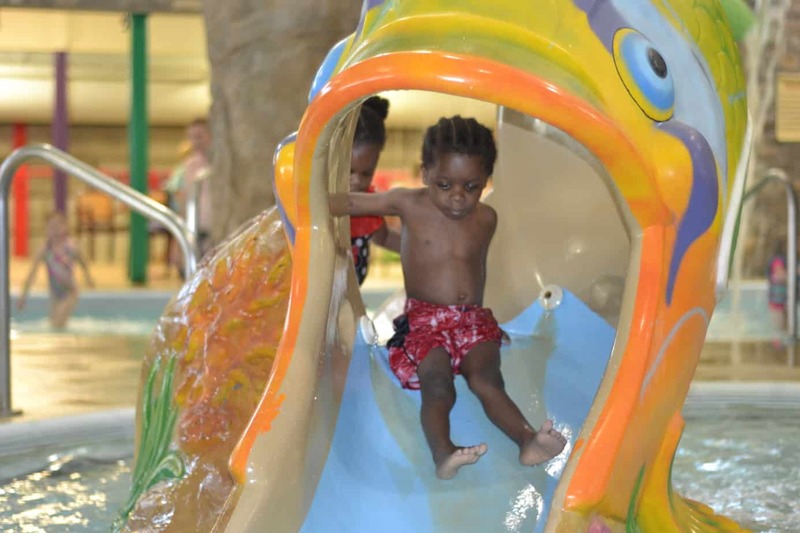 Once we did make it to Friday, the kids were super excited to don swimming suits and head down to the waterpark. We put our wristbands on (which you have to keep track of, otherwise there is a $10 replacement fee) and entered. As a point of reference, all children 2 and under don’t need wristbands. I do love that they have plenty of areas that are feasible for all ages. The cellist was able to go around without having to have little children in his way, and the twizzlers were able to play safely in splash pools that didn’t go above one foot of water. 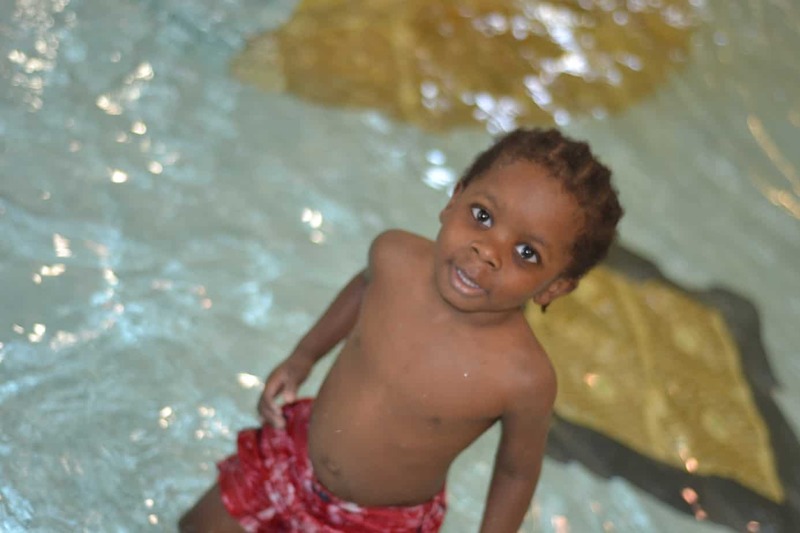 They had a mini splash pool with only 7 inches and that’s where Sir. Twizzler and Lil Miss hung tough. Lil Miss LOVED the fish slides, and wasn’t afraid of the water at all. I was impressed! I felt completely comfortable with letting them have free play. 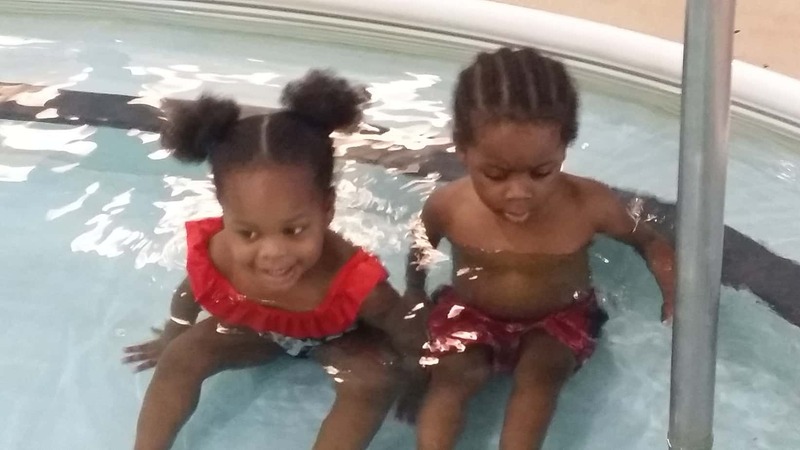 The water was warm, and they weren’t completely submerged. 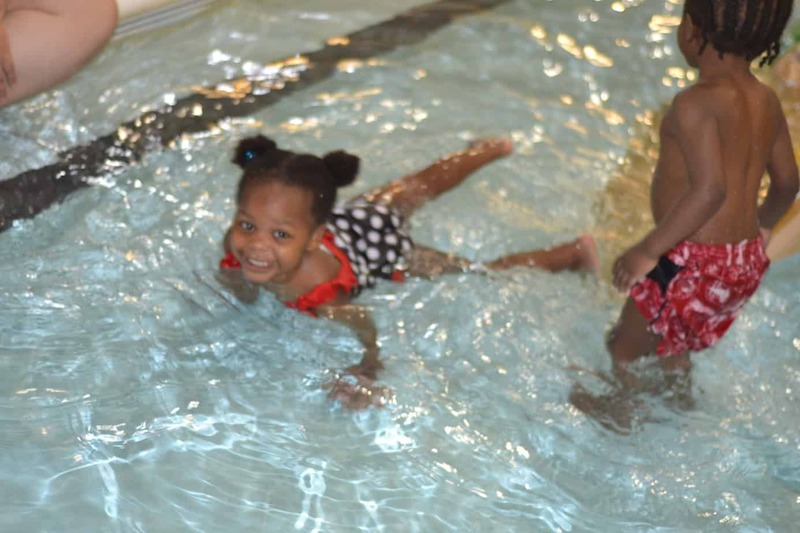 However, if you still need a little more security, there are child and youth life-jackets available at no charge. The cellist, and the ladybug were enthralled with the lazy river AND the water slides. Now, I completely expected the cellist to take to the water like a fish, but I was completely surprised at my five-year old daredevil! She donned a life-jacket and went on the super slide where she shot straight into the “deeper” pool. It was a sight to behold! She did start out with the easier slide first, which is pictured at the tope of the post. 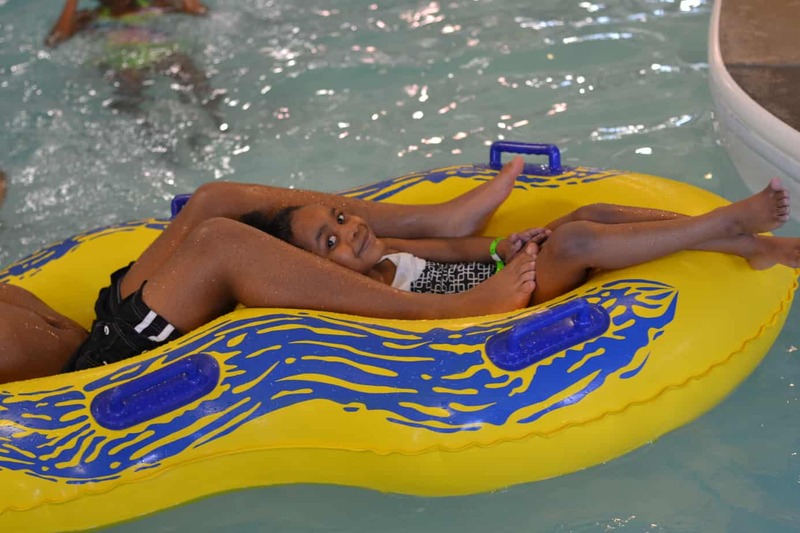 She would make her way around to the slides, and then take to the lazy river with her big brother. I ran out of energy before the kids did, and wanted to go up after three hours in the waterpark. I guess that’s a sign of me getting old. We were down while it was still a bit cool outside, so the outdoor pool area wasn’t open yet, but there is definitely more space available than just where we were. The waterpark also had enough space to sit and read, if water isn’t your thing, but it is for your children. We were able to witness a birthday party in action as well. 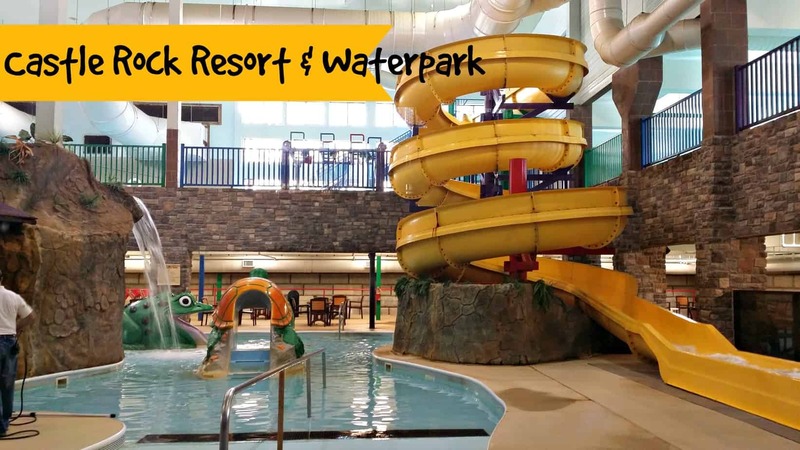 There is also a portion of the waterpark connected to Tower Grill which is the on site restaurant of Castle Rock Resort & Waterpark. The restaurant also has seasonal hours, but the prices of the food was super reasonable! 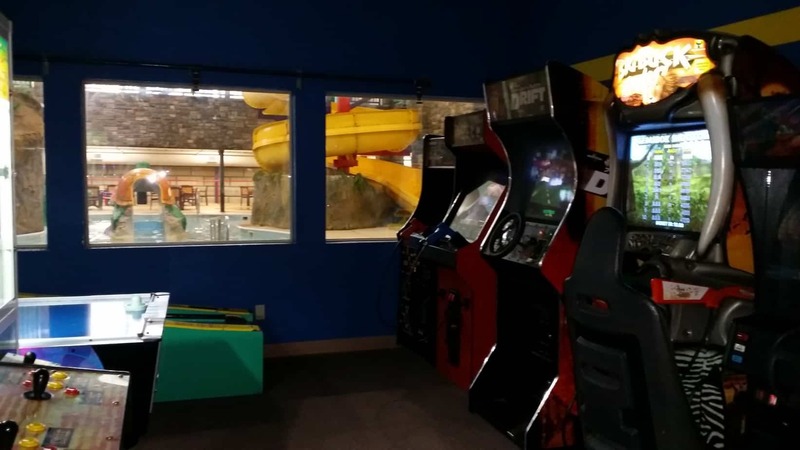 If you have a child or husband/wife who doesn’t want to sit inside the waterpark all day, there is a game room for use. There was skee-ball in there y’all! 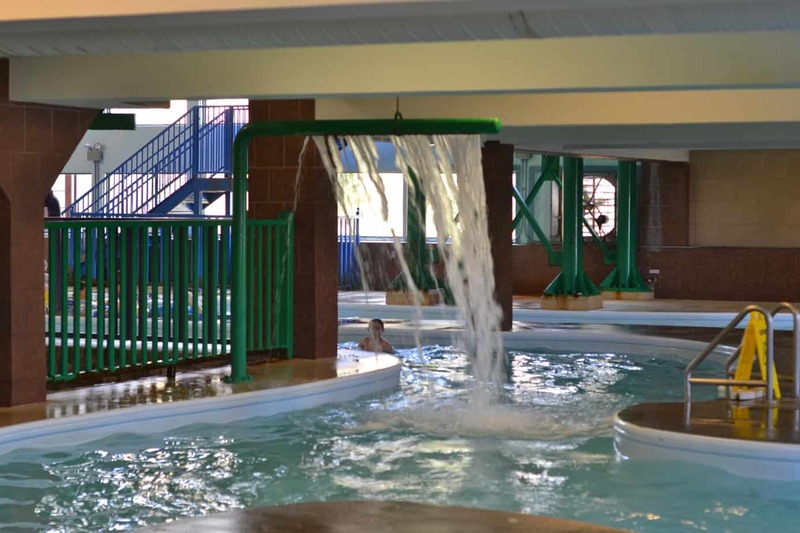 If you’re worried that the closing of all of the amenities in the hotel will keep you from having a good time until you are able to get into the waterpark, you’d be wrong. There are restaurants and diners less than a mile away from the resort, and they are all reasonably priced as well, so don’t fret! 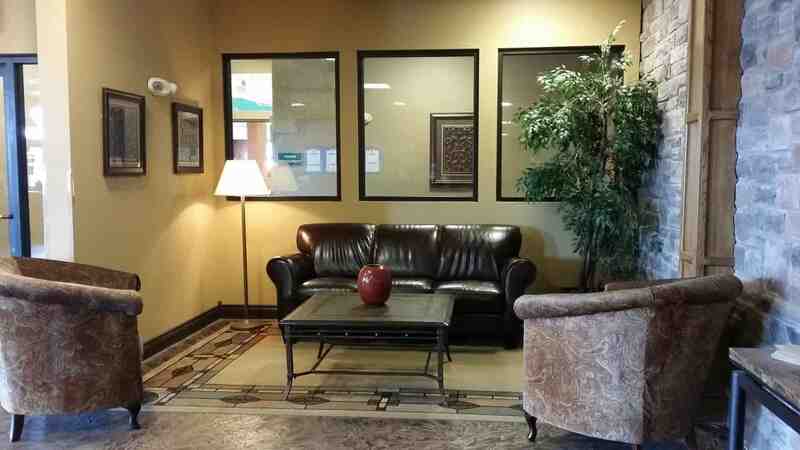 They do have handicap accessible rooms, and those are right off of the elevator. It was nice to see that all things were taken into consideration to make the resort comfortable for EVERYONE. 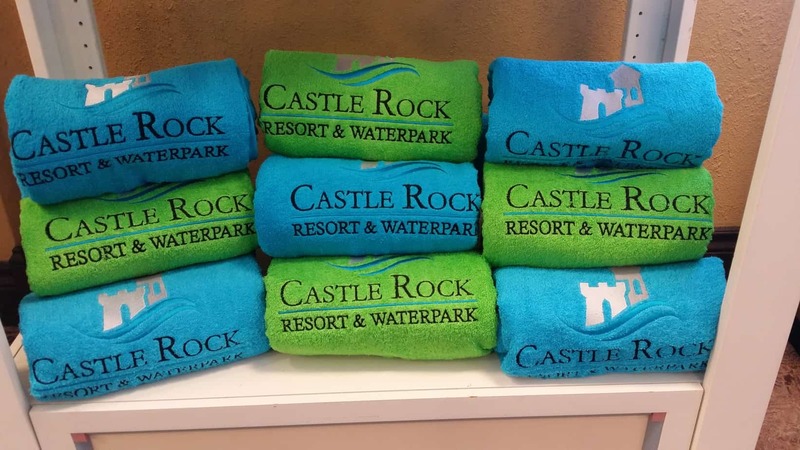 Overall, we’d visit Castle Rock Resort & Waterpark again, but we would make sure to do it during a time where the waterpark would be open our entire visit. Especially since we have to drive 8.5 hours to get to our destination. I would also suggest that you make the vacation one that was unplugged unless you had a carrier that was known to cover all of Missouri. We had to sit down in the lobby or right by the elevators in order to get any coverage. Honestly though, if you’re in a waterpark expecting to be on Wi-fi all day, then you’re vacationing wrong. I can also state that I was relatively surprised at their gift shop, and how well priced their items were. 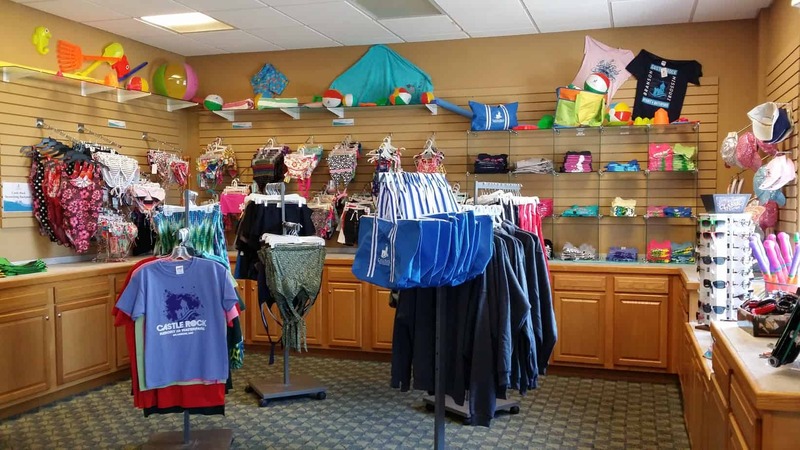 If you forgot a swimming suit, you could replace one for a reasonable price. They weren’t thrift store cheap, but they also didn’t use that 400% markup that so many hotels seem to do. 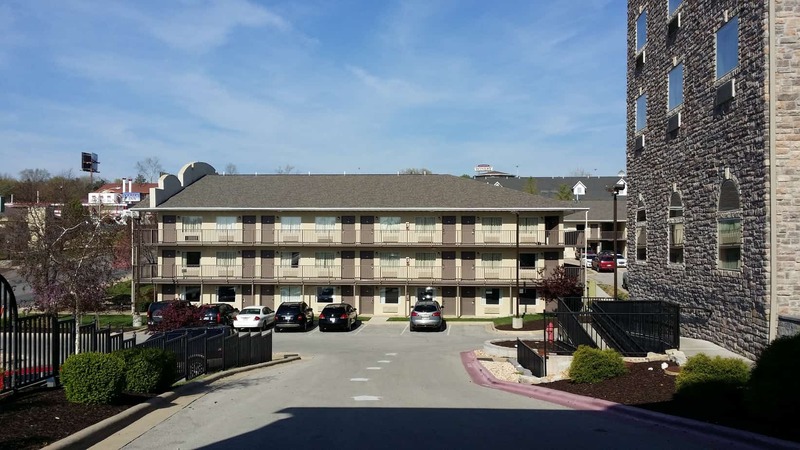 I’m happy to know that when we do go back down to Branson, MO, that I know of a place to stay that includes an indoor waterpark that I’ve been able to test. They run specials all of the time as well, so be sure to check those out too! I figure pairing your stay at Castle Rock Resort & Waterpark with a visit to Branson, MO will create a vacation that you won’t soon forget! Selena Kohng liked this on Facebook. I want to go there! The indoor water park looks like so much fun. I’m sure your littles had a complete BLAST!